After almost three decades covering the personal watercraft scene, I am having deja vu all over again. 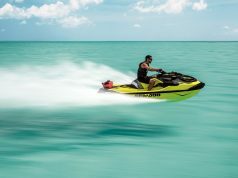 I first had that feeling three years ago when Sea-Doo launched its light, lively and affordable Spark watercraft. That took me back to the highly popular sit-down PWCs of the late 1980s and early 1990s. They were nimble, inexpensive two-stroke-powered Sea-Doos, Yamaha WaveRunners and Kawasaki Jet Skis—plus now-defunct competitors from Wet Jet, Polaris and Arctic Cat. 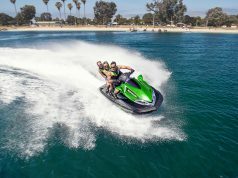 BRP’s Spark models proved pretty quickly that lightweight, low-cost fun-machines—just like the ones that launched the PWC revolution—were the key to getting masses of new riders on the water. Many will trade up to full-size PWCs for touring, performance or dedicated watersports. Yamaha played catch-up with its price-conscious EX and for 2017 has a full lineup of EX, EX Sport and EX Deluxe models, powered by the peppy 123-hp TR-1 HO engine. Like Sea-Doo, Yamaha also has a solid line of full-size PWCs in luxury, performance and recreation categories. A couple of other new 2017 PWCs also hark back to the early 1990s and leave me with the sense that I’ve seen something like this before. 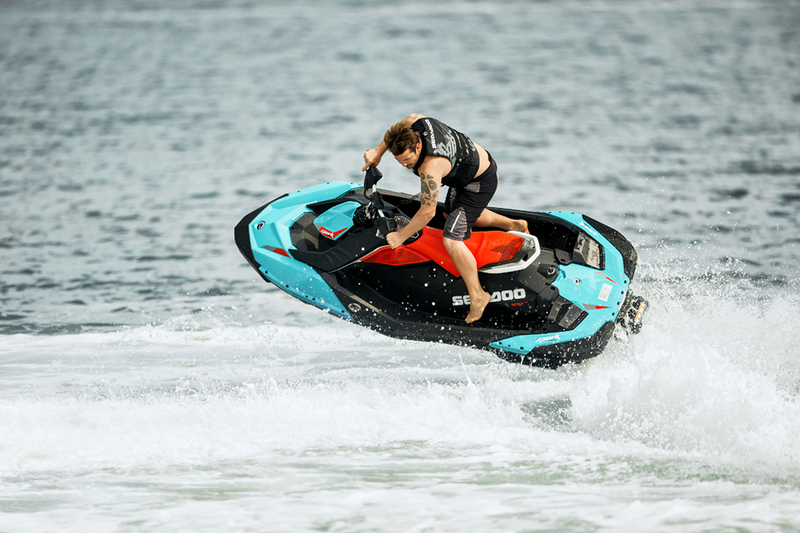 One is the Sea-Doo Trixx, a 2-UP Spark with adjustable handlebars, step wedges and extended trim that makes it easy to do a variety of athletic manoeuvres—tricks. It brings to mind the freestyle moves done with stand-up PWCs and light sit-down machines back in the ‘80s and ‘90s. Freestyle is still a class in pro PWC competition, but mostly done with stand-ups. 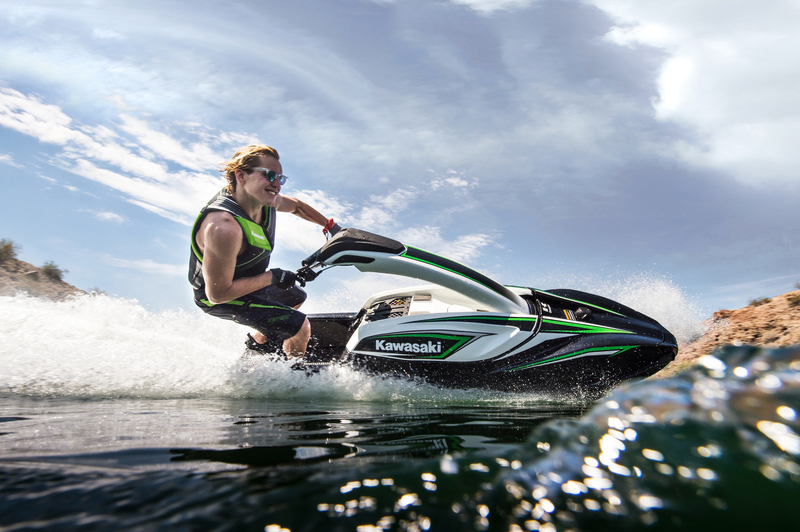 Another even stronger source of deja vu is the new 2017 four-stroke Kawasaki Jet Ski SX-R, with a hefty buoyant hull and a four-cylinder 160-hp engine. At $12,999, it’s not cheap. But it will appeal to dedicated stand-up riders who have been waiting for something new. It may also find some new converts. 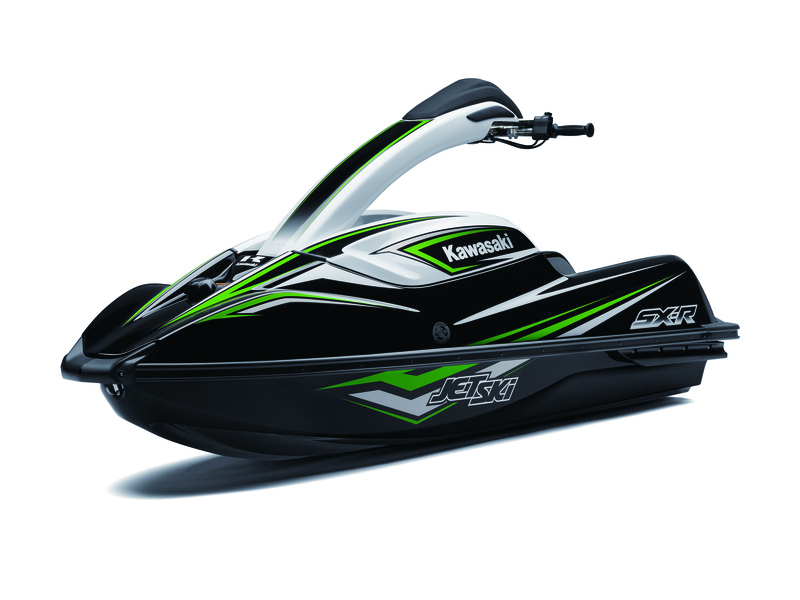 The stand-up Kawasaki Jet Ski, launched in the early 1970s, was the first really popular PWC. Stand-ups are still raced and operated by a small band of riders who rely on aging or custom-built machines. But when it comes to recreational PWC, sit-downs rule the waves. 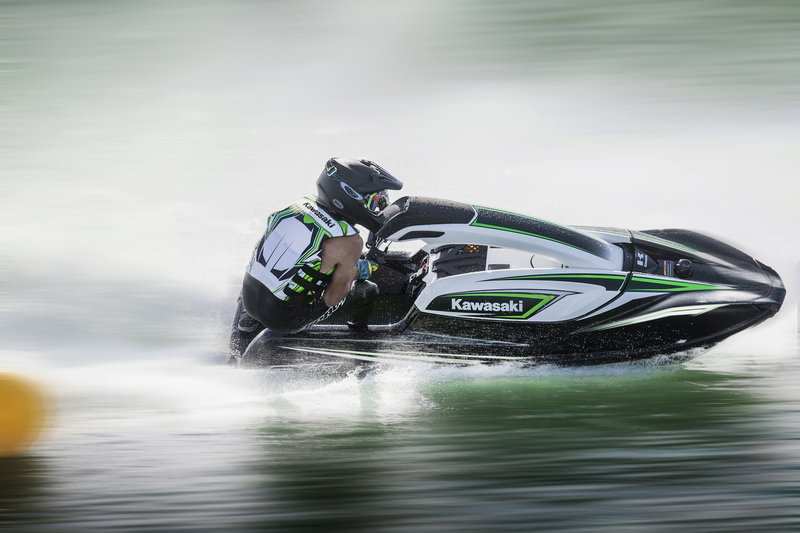 Two-stroke Yamaha SuperJets are still sold for racing only in the U.S. and Europe, but production of recreational two-stroke Kawasaki Jet Ski SX-R 800s and Yamaha SuperJets were phased out in 2011, largely due to emissions regulations. Also, they weren’t selling well. Stand-ups are one-person machines with little family appeal; operation requires fitness and skill. The learning curve is steep and can be painful. Sea-Doo never did produce stand-ups. The convertible DI two-stroke-powered Sea-Doo 3D launched in 2005 had a stand-up mode along with two other driving positions, but did not sell well and was dropped in 2007. A tail-standing Trixx is likely the closest Sea-Doo will come to a stand-up. 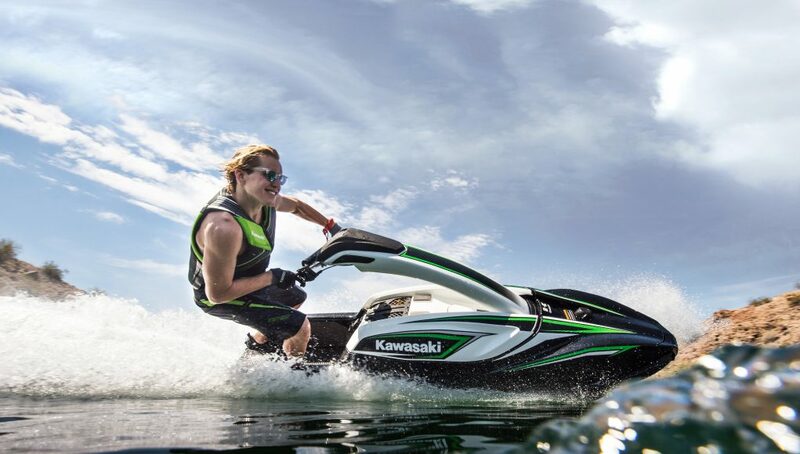 Kawasaki, on the other hand, could make some waves with its new Jet Ski SX-R. I’d love to evaluate its buoyancy, stability and agility some warm, calm summer day—well away from spectators.